I love a bucket list...when you're a busy mum with little ones it can be difficult keeping track of everything you want to do in your head because its just so full of everything else, so a bucketlist is a great way to make a note of the things you want to do so that you can refer back to it when you find yourself with some free time! We loved checking off our Summer bucket list this year and managed to do almost everything on it (The only we didn't manage was the boat trip but we are going on a cruise soon, so nevermind!). So Autumn is here...my favourite of all the seasons! I don't know what it is about Autumn but I just adore it...I love the crunch of the fallen underfoot, the fact that you can buy Pumpkin Spice EVERYTHING, that its the time of year for candle burning and Christmas planning or what....but I just LOVE IT! It probably helps that Halloween is a huge thing in our house - my entire family are really big on Halloween and I've managed to raise some very goulish children who despite their young ages are afraid of nothing and ADORE zombies, witches and the like! We have a big Halloween party every year and I already have so many plans for it! 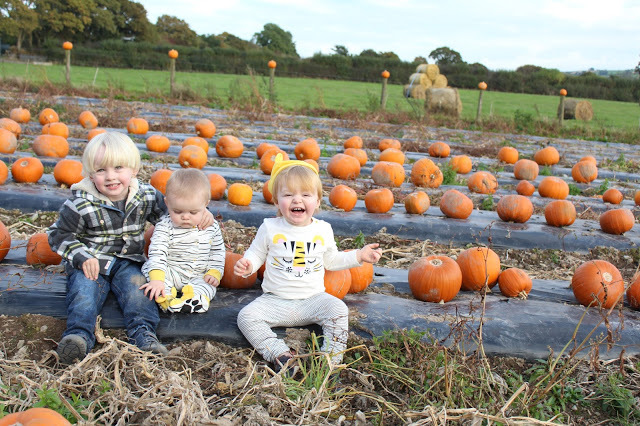 We go to the same pumpkin patch every year too to pick our own Pumpkins (we always have one each, so yep...5 pumpkins to carve!) and its a real highlight of the year for me...we've visited since Sailor was a baby so its become a bit of a family tradition to take photos when we go, which I love! 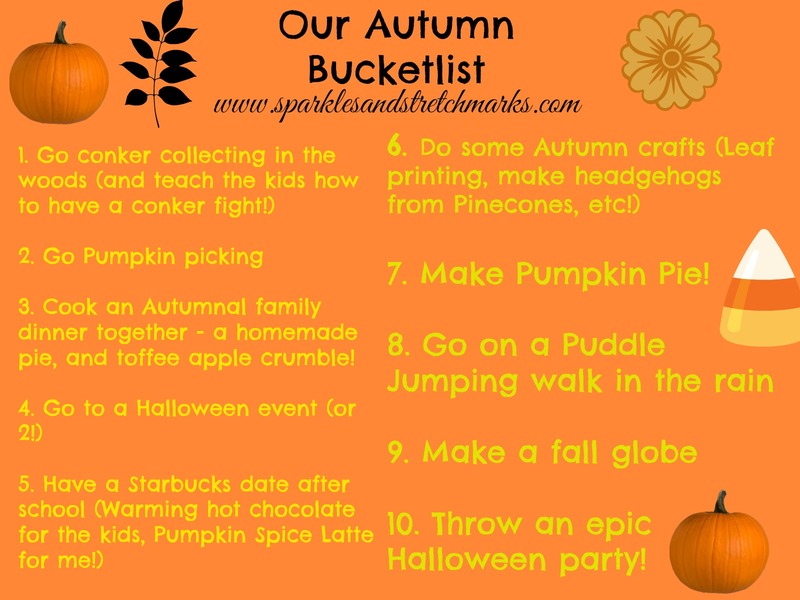 So I thought I'd share our Autumn bucketlist today incase you're in need of any inspiration for things to do this season - they're nothing ground breaking but they're things that we all love to do or that I know the kids will really enjoy, and sometimes ideas don't be need to be massively elaborate or expensive. I know we'll have tons of fun ticking everything off and I'll try to post about them as we do them, too!